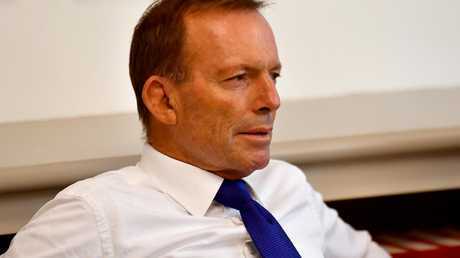 Tony Abbott has been slapped down after wading into the contentious debate about Britain's looming exit from the European Union. The former prime minister wrote a piece for The Spectator, titled No deal? No problem, in which he mocked the "neurotic anxiety" of politicians worried about the possibility of implementing Brexit without an official deal with the EU. "Britain, we're led to believe, is heading for the worst catastrophe in its history," Mr Abbott said. "Apparently the country that saw off Hitler, the Kaiser, Napoleon and the Spanish Armada is now paralysed with fear at the very thought of leaving the EU." Britain is due to exit the EU in less than a month, on March 29. Prime Minister Theresa May has spent the last two years trying to negotiate an agreement both sides can support, but when her proposed deal was put to the UK parliament in January, it was rejected by a huge margin. She has promised MPs another vote on March 12. If they shoot down her deal again, she will call votes to determine whether they support a no deal Brexit, or whether they want to extend the deadline past March 29. Mr Abbott believes Britain would be better off crashing out of the EU with no deal than procrastinating or agreeing to a "bad deal". He argued a disorderly Brexit would mean "at most a few months of inconvenience". "Perhaps some moderate transition costs. But these difficulties would quickly pass," Mr Abbott wrote. "By far the more serious threat comes from Britain caving in and agreeing to a bad deal that imposes most of the burdens of EU membership but with few of the benefits. Or, almost as bad, a Brexit delay that would keep the UK as a tethered goat - while the EU shows how it will humiliate any country with the temerity to leave. "For Britain to lose its nerve now would represent failure on an epic scale." Mr Abbott said the EU, not Britain, would "clearly be the loser" in any sort of spiteful no deal scenario. "As a former prime minister of a country that has a perfectly satisfactory 'no deal' relationship with the EU, let me assure you: no deal would be no problem. Or at least no problem that Britain couldn't quickly take in its stride," he said. "A no deal relationship with the EU has not stopped Australia doing about $US70 billion worth of trade with the EU in goods and services. "It must baffle pundits, but Australia trades with the EU (and with Britain) without being part of any customs union. "Theresa May was quite correct two years ago when she said that no deal was better than a bad deal. What she should have known even then was that a bad deal was all that Britain was ever going to get from an EU with a vested interest in ensuring that no country ever leaves." He said the real difficulty with Brexit all along had not been negotiating an agreement, but dealing with "the neurotic anxiety of the official political class", which he said sees the EU as a "civilising force". This is of course a highly charged debate - Britain has spent years arguing about practically nothing else - and the response to Mr Abbott's intervention was swift. Henry Newman, director of the think tank Open Europe, wrote a rebuttal to Mr Abbott's piece in the same publication, calling his opinion "absurd". "I think it's pretty absurd to suggest that 'no deal would be no problem'," Mr Newman said. He argued a no deal Brexit would lead to the certain collapse of Ms May's government, which is only clinging to power thanks to the support of a minor party. That could lead to Labour's left-wing leader Jeremy Corbyn becoming prime minister. "I know that these days they are no strangers to political chaos down under, and Aussie prime ministers come and go with frightening speed, but how could you make a success of Brexit with no majority for the governing party at all?" he said. "Whatever Tony, you or I may think about no deal, a handful of Tory MPs would see it as something they would not put up with. They have said so, repeatedly. "If Theresa May's government did fall - and she's just a few MPs away from having no governing majority - that might not necessarily usher in Jeremy Corbyn, a man whose entire worldview could hardly be more antithetic to Abbott's or indeed to mine, but it is a big risk." While Mr Newman agreed that the "medium-term effects" of a no deal Brexit on Britain's economy could be "relatively minimal", he said "things aren't as simple" as Mr Abbott claimed. "Australia could manage without a trade agreement with the EU because it's not making automobiles in complex supply chains with Europe. It's just too far away," he said. "It also hasn't spent the last four-and-a-half decades as a member of the EU with the EU's legal and regulatory tentacles permeating all aspects of its domestic life. "If Abbott is so keen on WTO-terms trading, why did he jet around when he was prime minister agreeing to trade deals with Japan and Korea? Why did he push for the Trans-Pacific Partnership with a dozen countries, including the US and Canada? Because Australia clearly does think trade and other agreements are important." He compared the dynamic between Britain and the EU to Australia's extremely close relationship with New Zealand. "If Australia has such a deep 'deal' with its small and relatively distant neighbour, why is Abbott saying we would be fine without one with the EU27 - a trading bloc of over 400 million people and regulatory superpower the economic size of China? "He misses a very crucial overall point. Putting aside all the economics and domestic politics, no deal would mean literally, by definition, a profound breakdown in European relations." Dmitry Grozoubinski, a former Australian negotiator at the World Trade Organisation, has published an extensive Twitter thread slamming Mr Abbott's article. You can read the whole thing here. This isn't the first time Mr Grozoubinski has spoken out against Abbott's views on Brexit. In January, he said: "You are embarrassing. Stop." He echoed that comment again today. At the time, other experts accused Mr Abbott of "talking nonsense". Despite the criticism, Mr Abbott has other things on his mind. 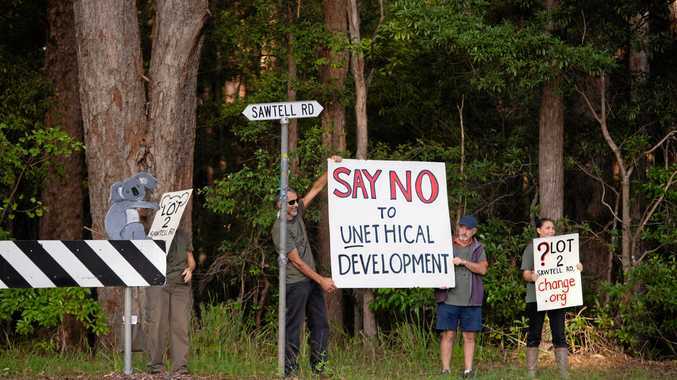 The former prime minister has been out and about in his electorate Warringah lately in an attempt to fend off the challenge of independent candidate Zali Steggall. He has ridiculed the idea that Ms Steggall is a Liberal-leaning independent, saying a vote for her would essentially be a vote for Labor. 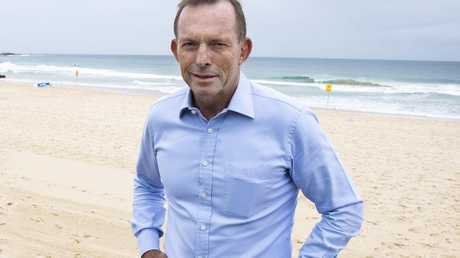 Mr Abbott holds the seat with a margin of 11 per cent.